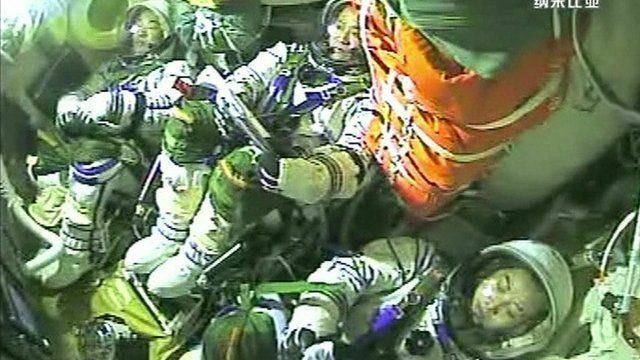 China astronauts return to Earth Jump to media player A Chinese spacecraft and its three crew has returned to earth after 15 days in orbit, making it the country's longest manned space mission. 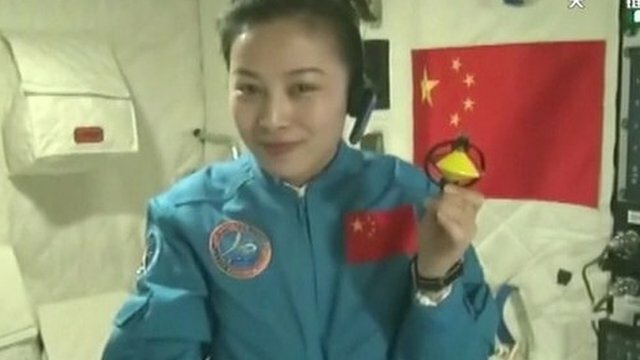 Astronaut gives lecture from space Jump to media player China has held its first classroom lecture from its orbiting space station as part of efforts to appeal to young people. 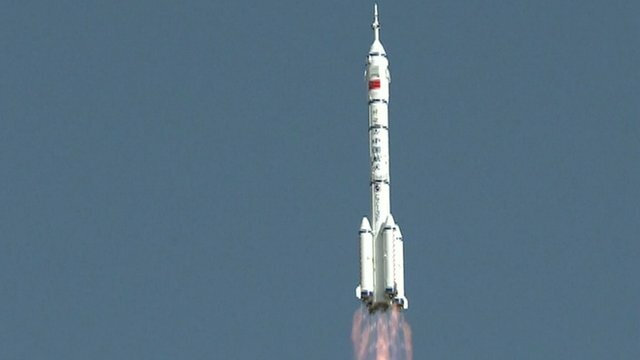 China launches manned space mission Jump to media player China has launched its latest Shenzhou manned space mission, carrying three astronauts on their journey to the orbiting Tiangong space lab. 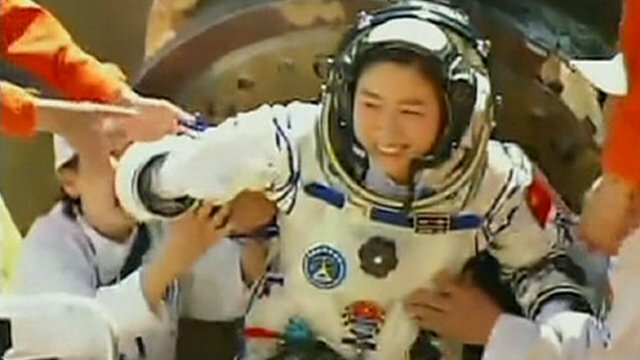 China's first woman in space returns Jump to media player A Chinese space capsule carrying three crew members has returned to Earth following a 13-day mission. A capsule carrying three Chinese astronauts has landed safely after a 15-day mission in space. The astronauts travelled on the Shenzhou-10 craft to China's space laboratory, the Tiangong-1. They completed manual docking exercises and astronaut Wang Yaping gave a video lecture to students back on Earth. The Shenzhou-10 is China's fifth manned space mission and came 10 years after China first sent an astronaut into space.